Holly is Cree and Saulteaux from Cowessess First Nation in Treaty 4 territory of Saskatchewan, but is proud and honoured to call Mohkinstsis (Calgary), Treaty 7 her home. As the Indigenous Business Facilitator for Business Link Alberta, she assists Indigenous entrepreneurs in central and southern Alberta regarding the startup and expansion of their small businesses. She connects them to helpful resources while also providing guidance. She also facilitates workshops and builds meaningful relationships in Indigenous communities. Holly holds a Bachelor of Arts Degree in English with a minor in Indigenous Studies. Her background is in Oil and Gas, Non-profit, Legal, and Community Economic Development, and she has always worked within both the rural and urban Indigenous Communities. 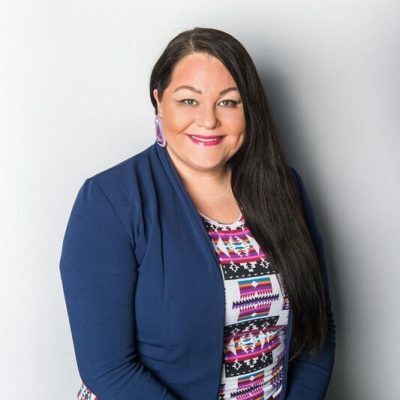 Holly’s main passion and driving force is challenging and breaking stereotypes of First Nations peoples in mainstream society, encouraging education of First Nations youth, and involvement in Indigenous economic development.